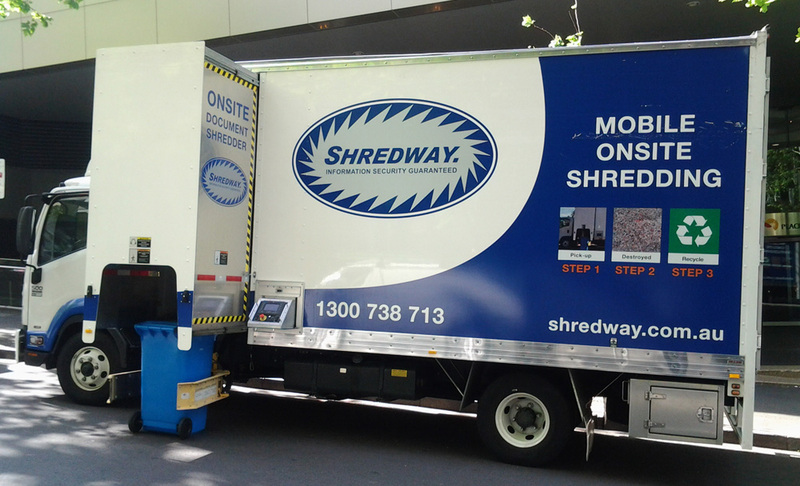 Mobile Shredding, also called on-site shredding, refers to the destruction of documents, products, hard drives and archives at your premises. Traditional off-site shredding leaves open the possibility that your sensitive documents are not disposed of properly or in a timely manner. With mobile shredding the destruction takes place on site, immediately and without the documents being handled by anyone. Our trucks are fitted with advanced mobile shredders, capable of shredding 75kg of paper in 3.5 minutes, twice the speed of conventional mobile shredders.